The creativity-oriented UN World Intellectual Property Organization is often at its best when displaying the colorfully multicultural nature of its membership. 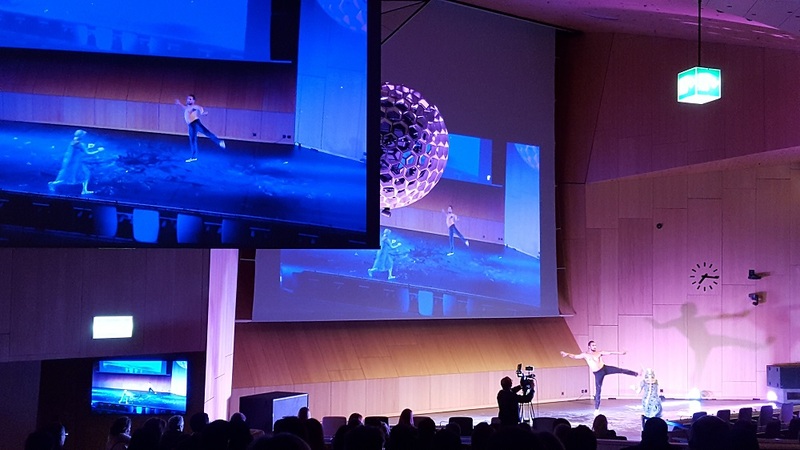 An example was the evening event of 28 February entitled, “Future Dreaming: A Celebration of Indigenous Culture and Innovation in Australia,” held in the WIPO large assembly hall and lobby. 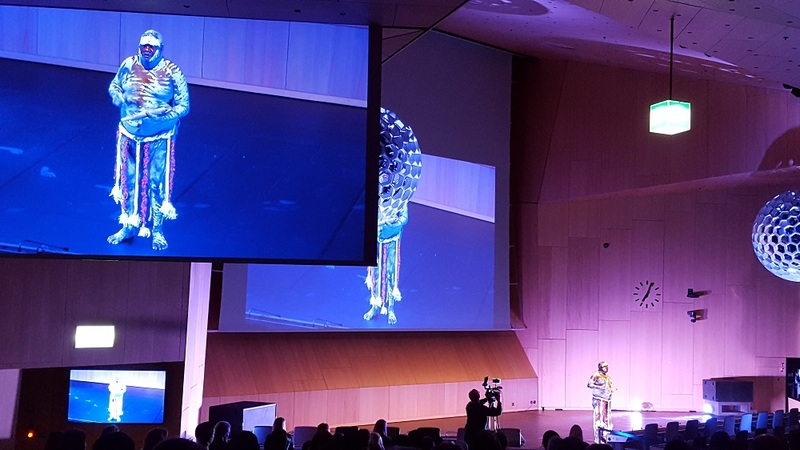 The event sponsored by the Australian missions in Geneva was intended to reflect “Australia’s values as an innovative, creative, divers and multicultural nation,” according to the flyer circulated at the event. The theme of this week’s committee meeting at WIPO is traditional cultural expressions, the Intergovernmental Committee on Genetic Resources, Traditional Knowledge, and Folklore (IGC). The event also served as an opportunity for Australia to promote its candidacy for a seat on the United Nations Human Rights Council. A series of speakers took the stage, including: Australian Ambassador to the UN John Quinn; WIPO Director General Francis Gurry (who is originally from Australia); Director General of the UN Office in Geneva Michael Møller; Australian Minister for International Development and the Pacific, Senator Concetta Fierravanti-Wells; and Bangarra Executive Director Philippe Magid. The IGC chair, Ian Goss, is also from Australia. Senator Fierravanti-Wells announced a donation by Australia of AUD 50,000 (about USD 38,000) to the Voluntary Fund that makes it possible for indigenous peoples who need travel support to attend the meetings at WIPO. She also highlighted Australia’s Human Rights Council candidacy, saying that the nation has owned up to its treatment of indigenous peoples in the past, showing a “maturity and honesty” it would bring the Council in 2018-2022. The event was followed by a lavish array of foods from Australia, mainly dishes featuring Australian lamb and beef, along with wines. The event was a prime networking opportunity. Not only a platform to spotlight Australia’s candidacy, but among others there were two of the candidates to be next director general of the neighbouring World Health Organization. "Australia’s Indigenous Culture Event at WIPO Showcases Human Rights Candidacy" by Intellectual Property Watch is licensed under a Creative Commons Attribution-NonCommercial-ShareAlike 4.0 International License.